Nilfisk Coupe Neo is perfect for small places and confined spaces. In fact it is the perfect choice when you don't have a lot of storage space. 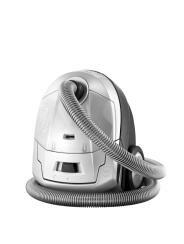 This supercharged little vacuum comes with an impressive 2000W motor and 320W suction ensuring a high dust pick-up and a healthier cleaner home time after time. The compact size means that it can follow you almost anywhere!